This beautiful women's devotional will delight and encourage readers of all ages in their daily faith walk, as though they are hearing messages straight from God Himself through His Word. With more than 180 just-right-sized readings, each encouraging devotional is accompanied by a related scripture selection that will leave women feeling perfectly loved. 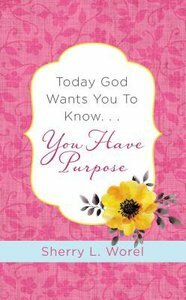 About "Today God Wants You to Know. . .You Have Purpose"